Did you know that 80% of the world's population owns a cellphone? That's more people than have electricity or own toothbrushes. With this already astonishing number still steadily growing, it's more important than ever for real estate professionals to ensure their marketing efforts are mobile-friendly. 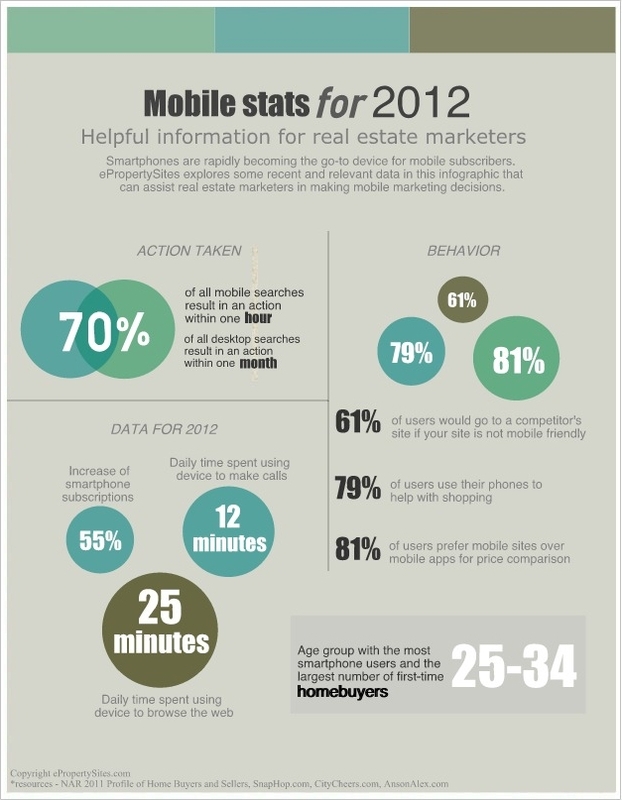 We've compiled some of the most recent and relevant data for you in this handy infographic that we hope you will find useful as you plan and execute your mobile marketing strategy. Don't forget that ePropertySites provides you with mobile versions of your single property sites, including text and QR codes. Stay tuned this week as we explore these features in depth here on the ePropertySites blog.